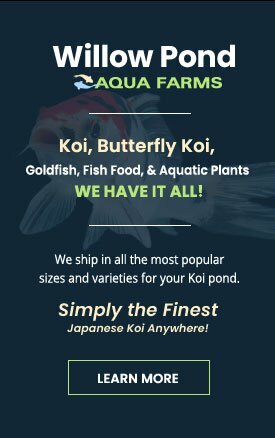 Do you have issues with your pond or water garden NOT being clear? 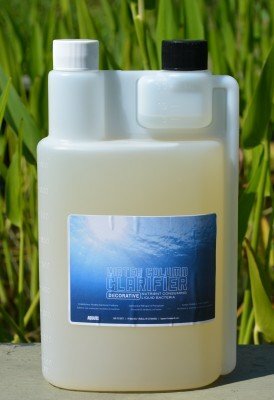 You should try Water Column Clarifier! This product is a nutrient consuming liquid bacteria. Pond water column clarifier also establishes healthy bacterial cultures, consumes nitrogen and phosphate as well as keeps your ponds and fish healthy! Not only is this product all-natural, it also will lower ammonia and can remove 30-60% of your sludge problems! This product contains 23 essential vitamins, biostimulants, and fast acting enzymes that are essential to healthy and robust microbiological development. Dosage rates are simple too: Shake well, store in a cool, dark place and add 2 ounces every week per 1000 gallons! Have more questions about this product, please call or email us today!